Roofs have always fascinated me. I regret never getting on the top of the Illinois Wesleyan University School of Art roof back in my college days, but I digress. 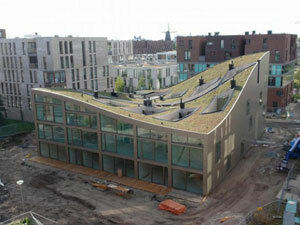 My curiosity for roofs was further peaked (pun intentional) when I saw NL Architect‘s Blok K in Amsterdam. Now there’s some kind of roof!